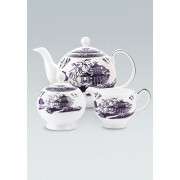 The willow collection presents this fine porcelain 3-piece tea set, consisting of a tea pot, creamer and sugar bowl. 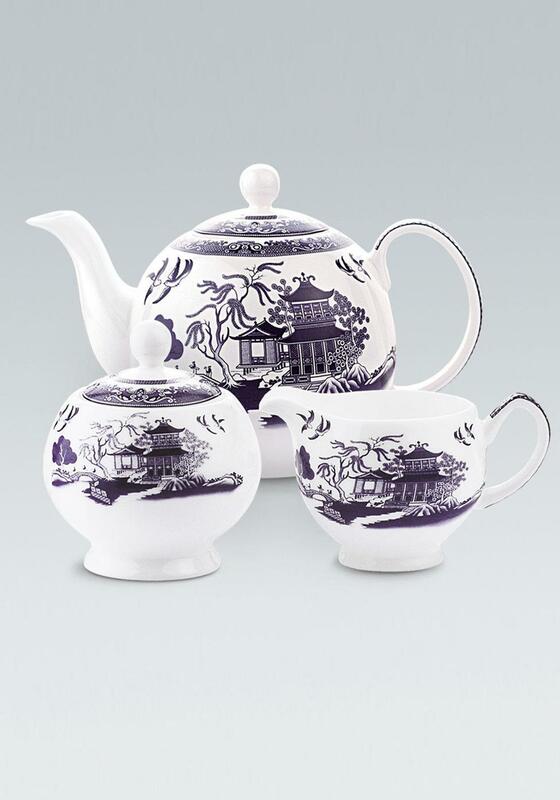 This tea set will add a touch of elegance to your tea party. Why not complete this set with the willow collection mugs. Approximate Measurements: Teapot 140mm x 160mm, Creamer 100mm x 80mm & Sugar bowl 90mm x 100mm.